Located in the picturesque area of Valakampiai in Vilnius and only a short distance from the city’s flourishing cultural center, Rupert is set by the river Neris and a small river beach, surrounded by peaceful fields and a forest. The residencies are located in a newly-constructed Pakrantė building designed by award-winning Lithuanian architect Audrius Ambrasas, operating as an arts incubator which houses a number of creative industries initiatives. 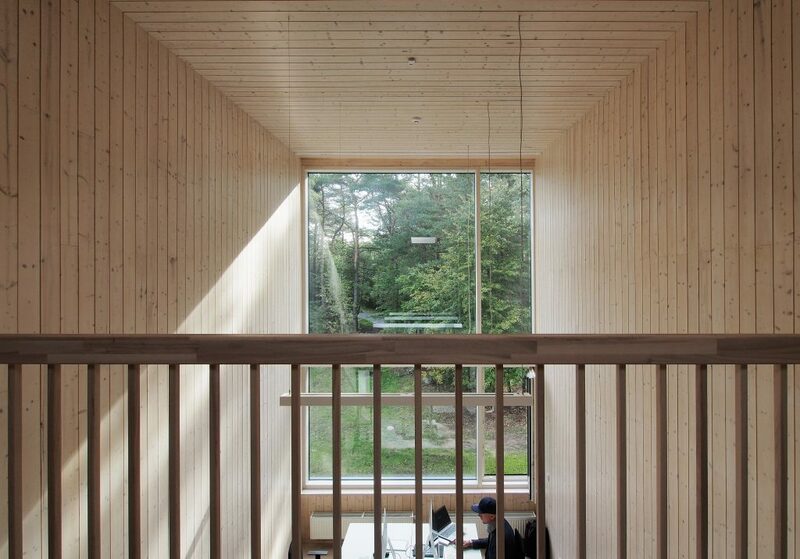 Each resident is provided with a studio space and mezzanine (approximately 52 sq m. altogether) to be used as a production and research space during the residency. The studio is fully furnished and equipped with WiFi. The building also houses a reading room, conference room, and a kitchen, all of which are open for residents’ use. Each resident is also provided with a Mac computer and a bicycle. The residency is FREE thanks to the support of the Lithuanian Council for Culture and other grants. Rupert supports the resident with a studio, utilities, curatorial support (a minimum of 2 studio visits or feedback sessions per month), provides administrative support and facilitates access to required contacts, tools, materials and information needed for research and production. Applicants are responsible for covering personal (daily and travel) expenses, although a limited number of travel and production grants are available for some selected candidates. There is also a travel grant available for Baltic and Nordic applicants through the Nordic Mobility Programme. Rupert’s team will issue acceptance letters for successful residents and support their applications for external grants to cover the residency fee, travel, food, production and other costs. Rupert is a center for Art and Education devoted to establishing close cooperation between artists, thinkers, researchers, and other cultural actors through interdisciplinary programs and residencies. A knowledge-based platform for innovative creative production, Rupert integrates with the social and cultural framework of the city of Vilnius while simultaneously supporting a strong international focus.